The long wait of students, who appeared for Jharkhand Board 12th exams 2014 from Arts stream, for their results is going to be over soon as the Jharkhand Academic Council (JAC) is all set to announce the much awaited JAC 12th Arts Result 2014 on 30 May 2014. The Results for Science and Commerce streams have been declared much before on 09 May 2014. Now, it’s time for the Arts stream students to face the blow. 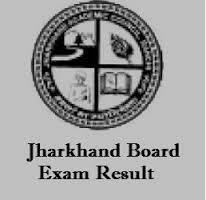 12th Arts Result 2014 Jharkhnad Board (www.jac.nic.in / www.jharresults.nic.in): Check JAC 12th Arts Result 2014 / JAC Intermediate Arts Result 2014 / Jharkhand Board 12th Arts Result 2014 / Jharkhand 12th Arts Result 2014 / Jharkhand Intermediate Arts Result 2014 On Jharkhand Academic Council (www.jac.nic.in, www.jharresults.nic.in and http://jharkhand12.jagranjosh.com/) today at 10:00 AM. After declaration, students can check out their Jharkhand Board Intermediate Arts Result 2014 on JAC’s official website: jac.nic.in. Or else, visit Jagran Josh’s link dedicated to JAC Intermediate Arts Result 2014: https://www.jagranjosh.com/results/2014-jharkhand-jac-12th-arts-result-2014-12th-81405. This is the other best way to access the results easily by entering just Roll number. Board has already declared the JAC Intermediate Science Result 2014 and JAC Intermediate Commerce Result 2014 on 10th May 2014 and JAC Intermediate Arts Stream students are still waiting for thier results. Now don't worry about the timing of JAC Intermediate Arts Result 2014 it will be declared on 30th May 2014 by Jharkhand Academic Council. The JAC has conducted the Jharkhand Board Class 12 examinations this year from 21 February to 13 March 2014, in which lacs of students appeared. If we talk about the last year’s record, in total 1, 51,637 students appeared in JAC Intermediate Arts stream Examination 2013, out of them 1, 10,581 (72.92%) students passed the exams. While 5,182 students passed in first division, 75,163, and 30,232 students fell in second and third division categories, respectively. The Jharkhand Academic Council (JAC) was instituted by the human resource development and this council was established with the main aim of conducting examinations at intermediate education, secondary education, and Sanskrit education and for prescribing courses and carrying out duties assigned by the council of state. The team of jagranjosh.com extends their best wishes to all the students who appeared in the JAC 12th Arts Exam 2014.